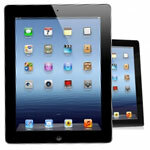 Find competitions to win iPads, iPhones, home cinema systems and more. Here you can enter competitions to win all sorts of gadgets and electrical devices from Blu-ray players to the latest laptops. Win a brand new smartphone or smart watch Closing Soon! Apply to be a tester. Win a Hive Lights Pack Closing Soon! Enter via Facebook, Twitter or Instagram.